Today’s Live Profits Launch review tells me a couple of things. Firstly, that it’s getting harder for these scams to succeed and harder to find people to promote them, and secondly, that the creators are having to become even more creative and clever with their tricks. Perhaps the tide is turning and they’ll soon move on to different schemes. So What Is Live Profits Launch? 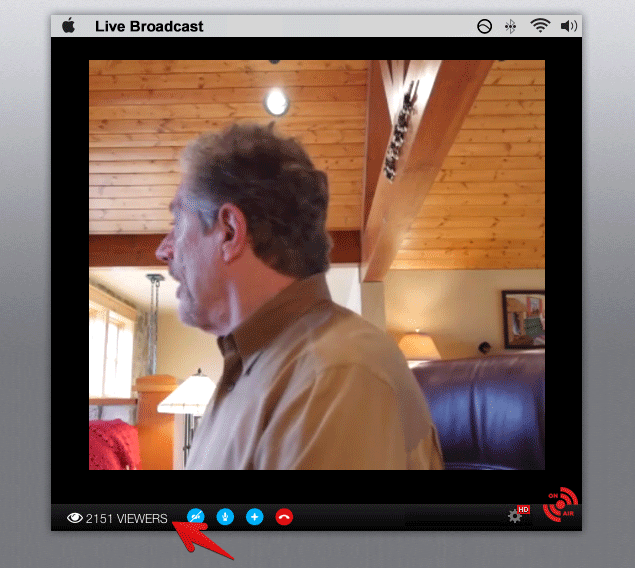 When we arrive on the site, we’re greeted with what appears to be the beginning of a live video. A webinar, a live call, or some other session. We’re told that only 20 people will be allowed in, and that leaving the page will result in us not being allowed back in, as there are already 700 other people waiting. This is kind of funny, given that under the video it says over 2,000 viewers. Nice attention to detail there. Apparently, we’ll be given $10,000 just for watching the live call. Incredible! Who’d want to leave THAT page? Well the problem is, the video isn’t live. I’ve left and returned several times, and it’s always the same. Even the same people are apparently watching it. I bet you saw Frances too! This is where the program creators are getting clever. They show the “live date” and they show a live trading account with dates and times that will match whatever time it really is wherever we are watching the video. I can’t tell you exactly how they’ve done this, presumably by splicing in the video with a live feed somehow, but the fact that you can return to the video at any time and see the exact same words spoken, the exact same people watching it, and the exact same everything, apart from the “live time” shows it’s fake. It would have been better if they just said it was a recording. Plus, if you do a reverse image search of the people watching, you’ll find the names don’t match up. Frances has a different name in real life. So You’re Saying It’s All BS? Yes, that’s exactly what I’m saying, because it’s true. I want to introduce you to Clicksure, home of all the other Binary Option “programs”. 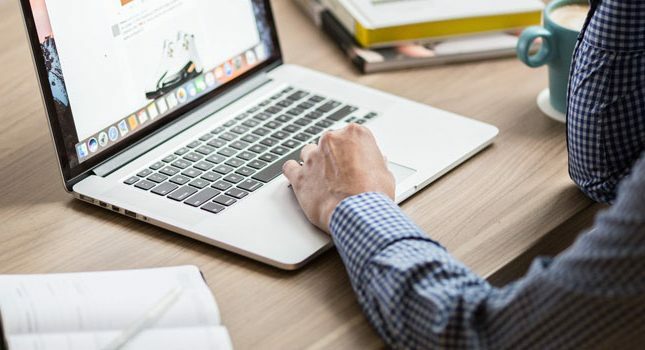 On a weekly, even daily basis, new programs are launched, all claiming to be the same kind of thing, a super software or program that automates trading for you, so that you’ll turn an initial deposit of $250 into thousands of dollars almost instantly. They’re all the same! Different video, different name, but same old scam. 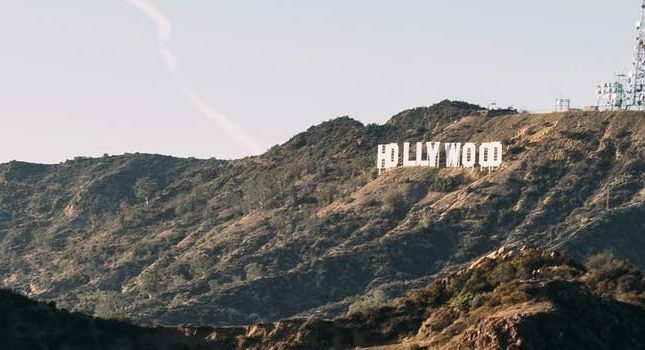 In fact, some of them use the same actors. 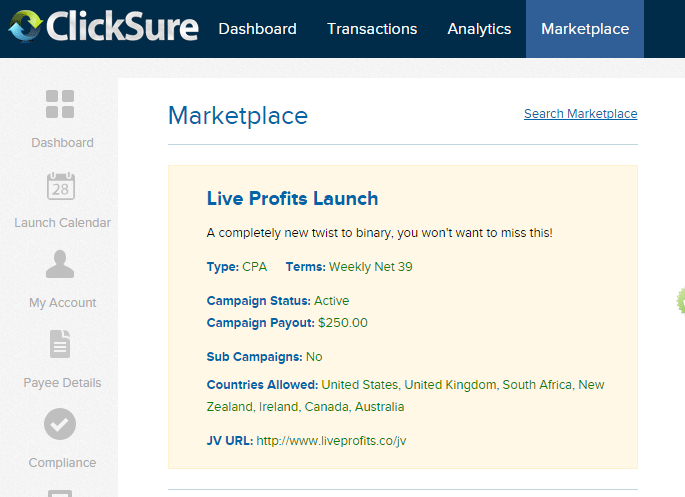 Here’s the Clicksure affiliates page for Live Profits Launch. “A completely new twist”. I told you they were getting clever right? They have to try new things such as offering double commissions (the one I reviewed last week did this, and so have a few others started doing it), and they’re trying different gimmicks to get people to promote them. 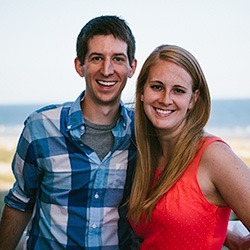 As more and more scam busters like us here at Ivetriedthat.com are exposing these guys, they’re getting more and more desperate. Don’t be one of their final victims, you can hold out! When you sign up to use their free product, you are prompted to deposit funds into a trading account in order for the product to work. This makes sense, you can’t trade unless you have some funds to trade with. The problem is, you’re helping them earn a HUGE commission when you deposit those funds. These trading platforms will pay out as much as $500 a pop as a reward for helping get you to sign up. This means that they don’t really care whether or not you succeed. The whole “free super software” scam is just to get you to drop those funds in. Once the funds are in, you can’t get them out again unless you make enough trades, and for most people, their money will have been lost before that number is reached. Even if you win 50% of the time, since the company takes its cut, you still lose money.